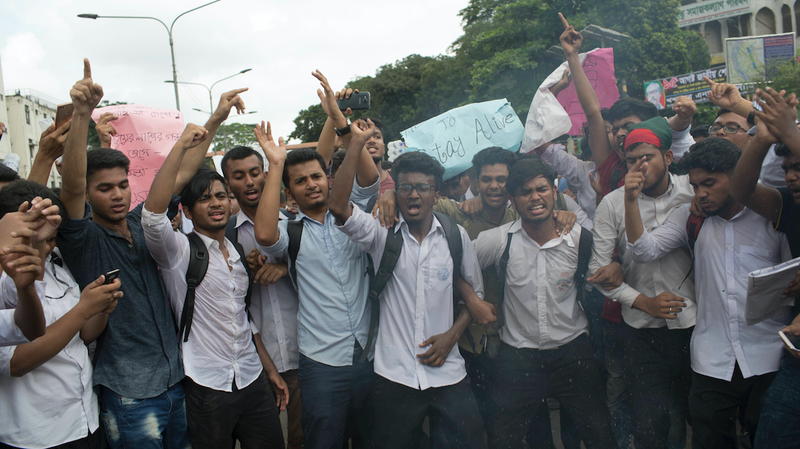 Hundreds of students have walked out of class in Dhaka, the capital, to protest the transportation sector following the deaths of two students killed by a bus in late July. The protests have virtually shut down traffic in the city of 18 million people. Police have reportedly sent more than 100 people to the hospital with tear gas and rubber bullet injuries. Local press report the wireless service shutdown is part of an effort to bar protesters from mobilizing.